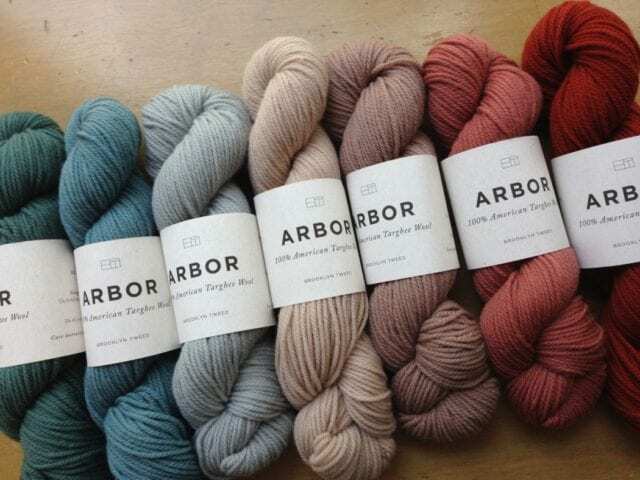 New colors in Brooklyn Tweed Arbor. 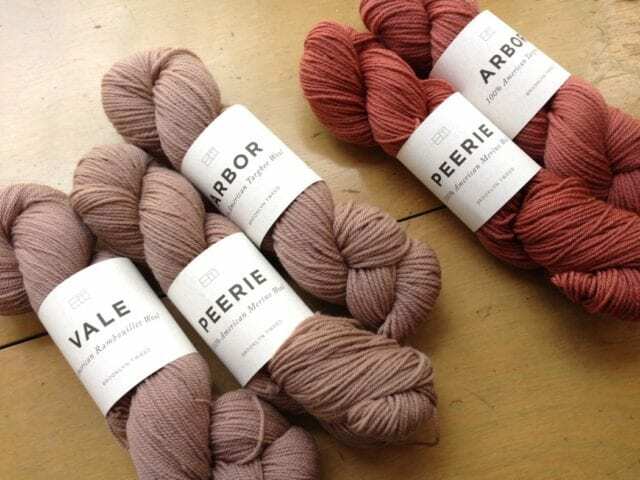 Brooklyn Tweed recently released four new shades in Arbor, and we’re happy to have them here at the shop! 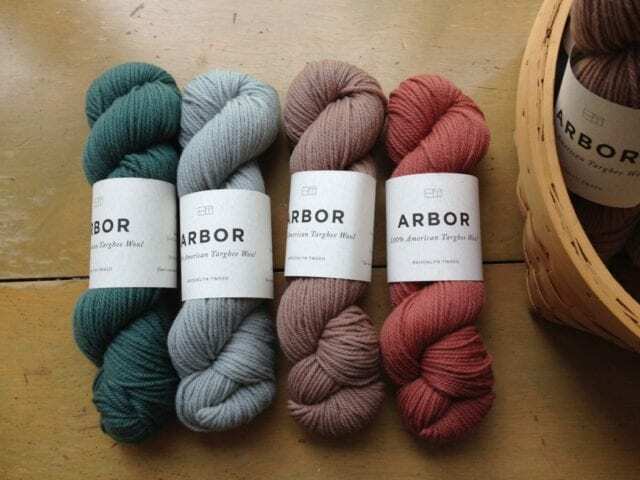 Brooklyn Tweed Arbor is a 3-ply DK weight yarn composed of 100% Targhee wool. Like Brooklyn Tweed Vale and Peerie, it’s worsted-spun, and skein-dyed in solid colors at the organically-certified Saco River Dyehouse in Maine. Worsted-spun yarns are more durable and dense than their woolen-spun counterparts, and have sharper stitch definition for crisp cables, lace, and texture patterns. Targhee wool spun in this manner has an abundance of one of my favorite yarn characteristics: elasticity. Garments knit with Arbor should wear well and look sharp for years to come. I love seeing how these four shades fit seamlessly into the existing Arbor palette, and I’m looking forward to seeing them combined in multicolor projects, like Andrea Mowry’s “Tincture” or Shannon Cook’s “Atmen.” If you’re seeking a small one-color project, consider Emily Greene’s “Shear,” a textured hat designed specifically to showcase these new shades. 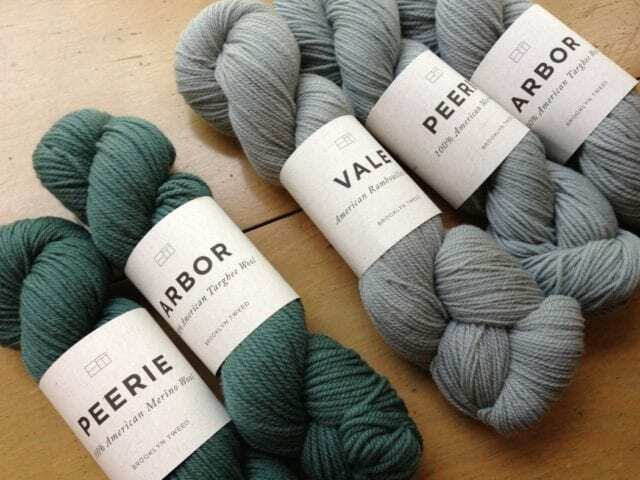 Come to our shop to plan your next project, and look for Brooklyn Tweed Arbor in our DK weight section!